What I like about this free crochet afghan pattern is how well the colors blend together to give an even ship from one color to the next. The pattern is a spin off of a knitted Hue Shift Afghan . 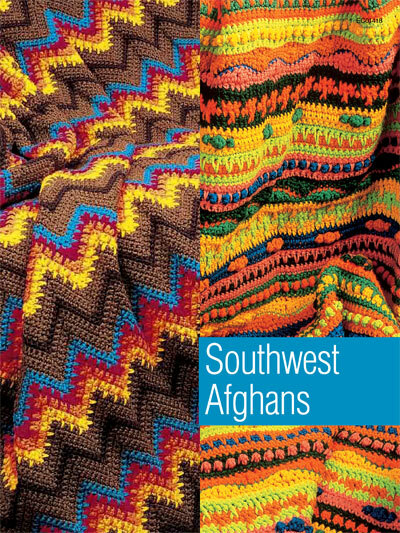 The afghan is crocheted in four pieces and then seamed together to make one. The directions make this afghan easy enough to follow for the experienced crocheter. Each of the four pieces begins at one corner, and mitered squares are crocheted directly onto the existing work. Made with simple single crochet mitered squares and finished off with a darker border, the Hue Shift Afghan is a deceptively simple pattern that explores color in a new and creative way!